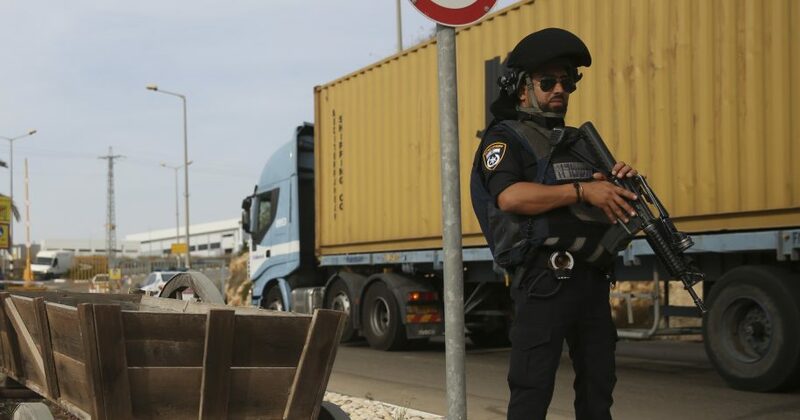 A Palestinian attacker opened fire inside a West Bank industrial zone Sunday morning where Israelis and Palestinians work together, killing two Israelis and seriously wounding a third, the military said. Military spokesman Lt. Col. Jonathan Conricus said the preliminary finding is that a 23-year-old from a nearby village carried out a “terror attack” in the Barkan industrial zone near the settlement of Ariel before fleeing the scene. But other workers in the industrial zone suggested the attack was carried out by a disgruntled employee and was not politically motivated. Conricus said the suspect was not known to authorities and was not believed to belong to a Palestinian militant group, saying it appeared to be a “lone wolf” attack. “We know he is still armed and considered dangerous,” he added. One of the victims was identified as Kim Yehezkel, a 28-year-old mother of an infant son who worked in the office that was attacked. The second was named as Ziv Hajbi, 35, a father of three. Another woman in her 50s was seriously wounded. Closed-circuit footage from the scene showed a man holding a handgun and wearing a backpack, fleeing down a flight of stairs and then dashing past stunned onlookers. Do you think this attack will affect how Israelis and Palestinians co-exist? Thousands of Israelis and Palestinians work side by side at Barkan, an industrial zone in the West Bank that includes some 160 factories. The Palestinian economy is heavily restricted under Israeli military rule, forcing tens of thousands of Palestinians to seek work in Israel as well as Jewish settlements.